Wear your necklaces in layers! 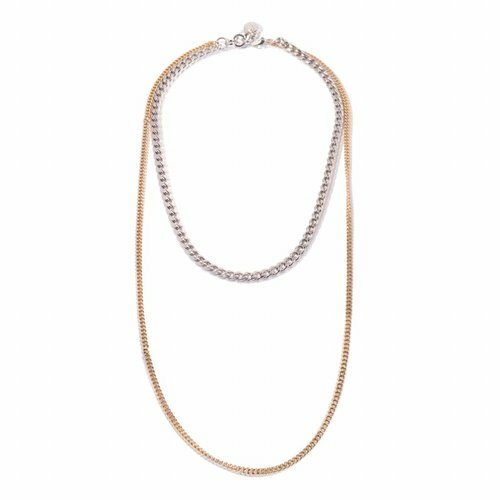 This fun necklace comes already with 2 layers en in different colour combinations. 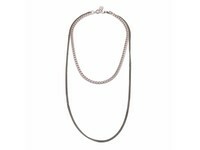 The short necklace can be worn as a chocker and the long necklace is about 70 cm long. The chain is the small version of the iconic TOV bracelets. 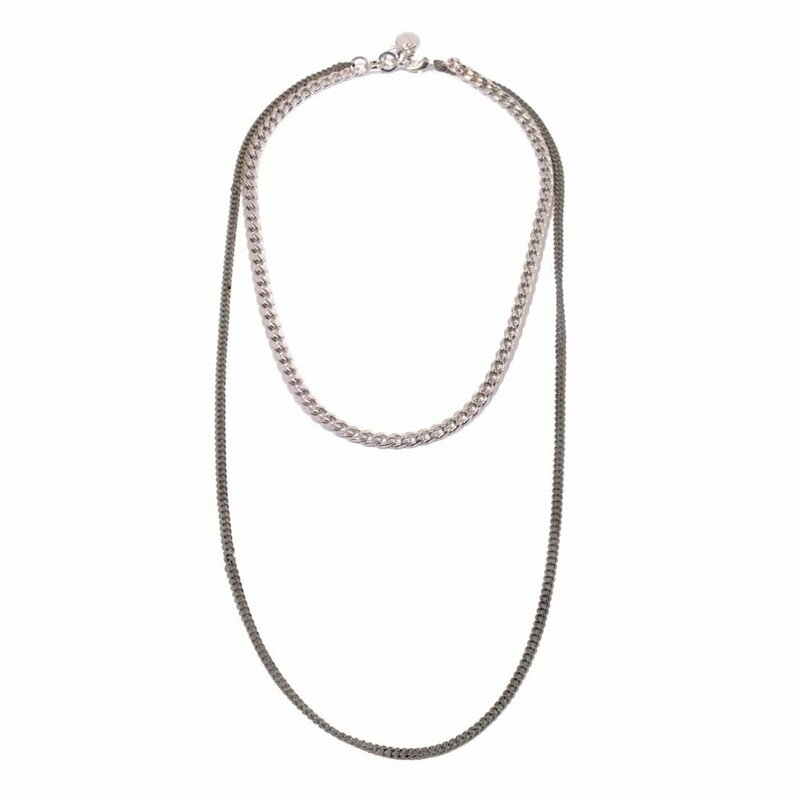 The necklace comes in different colour combinations and is a true fashion statement.